The goal is long-term cooperation – Törökszentmiklósi Mezőgazdasági Zrt. The Iranian NBP Economic Group and the Törökszentmiklós Agricultural Zrt. (TM Zrt.) has started their cooperation in 2017 with the aim to strengthen economic cooperations between the two countries. As a further step in the cooperation, CEO of NBP EC, Ali Ahmadbeigi, arrived in Budapest on November 8, 2018 with the delegation of the Iranian company. The purpose of the meeting was to explore business opportunities, primarily in agriculture. Both parties are confident that a close long-term cooperation will be established as a result of the meeting that aims to vitalize the economic ties between the two countries. Accordingly, the delegation also visited the Seed Processing Plant of the TM Zrt. 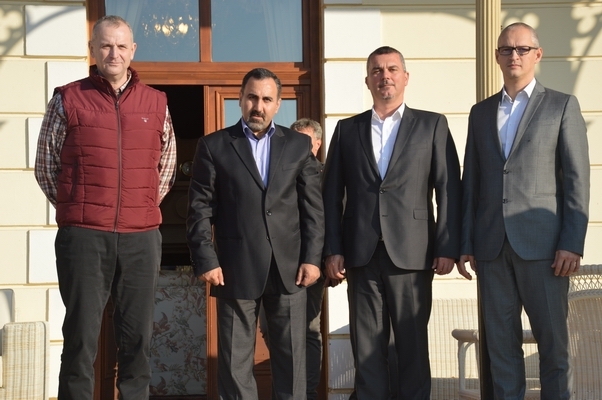 Miklós Piroska, President of the General Assembly of Jász-Nagykun-Szolnok County, and Sándor Kovács, member of Parliament, were present on the meeting who both maintain good relations with regional companies and monitor their operation.